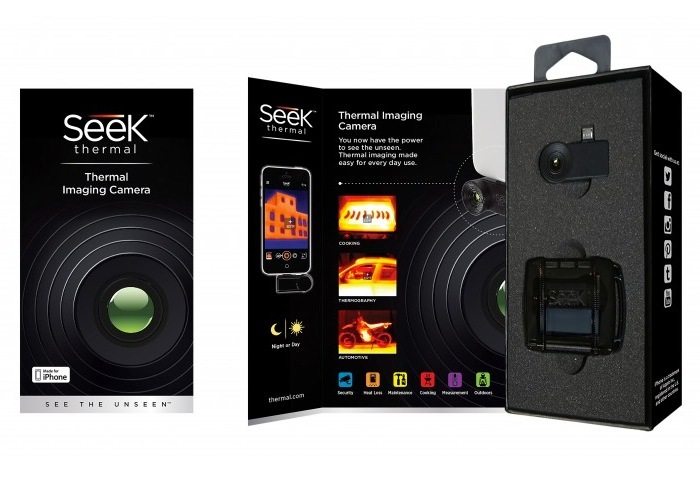 Smartphone owners wishing they could benefit from a thermal camera on a daily basis, are sure to be interested in a new camera adapter called the Seek that has been created to bring thermal imaging technology to the masses. 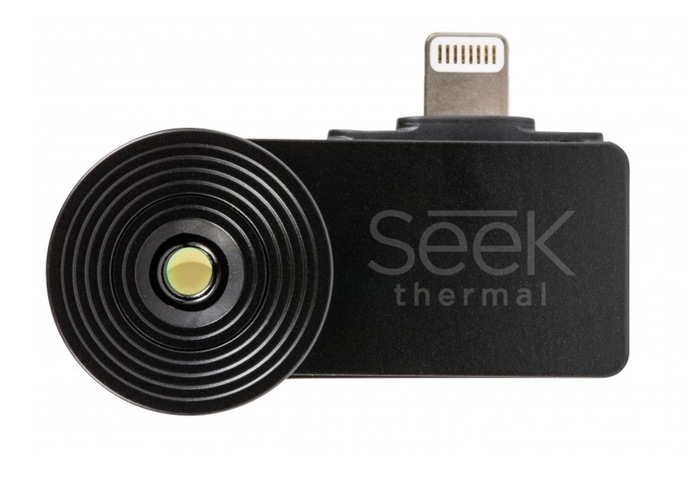 The Seek Thermal camera adapter adds thermal capabilities to almost any iOS or Android smartphones and weighs just 14g and is capable of detecting heat in a temperature range from -40 to +330 degrees C.
Once installed on your smartphone using a companion application the camera system is capable of switching between normal and thermal imaging mode with a simple swipe. It also offers four different temperature measurement modes, watch the video below to learn more about the Seek Thermal camera smartphone adapter and see it in action. The Seek Thermal camera is now available for both iOS and Android smartphones and is priced at $199. For more information on the new Seek Thermal camera jump over to the Seek Thermal website for details, full specifications and the ability to order.